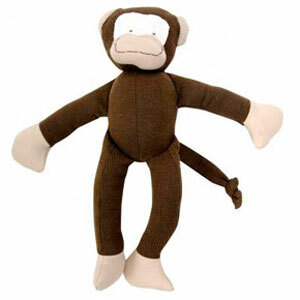 Your child will have tons of fun with this adorable monkey. Handmade and stuffed with 100% organic Egyptian cotton (inside and out), you wont have to worry about your little one inhaling any fluff. Created by Under the Nile, this little guy is made with natural dyes and is 100% chemical free.